You can download the Excel file of the script we used here (Thursday practice script) but equally as important as the script is how we used it in teaching and preparing our athletes. 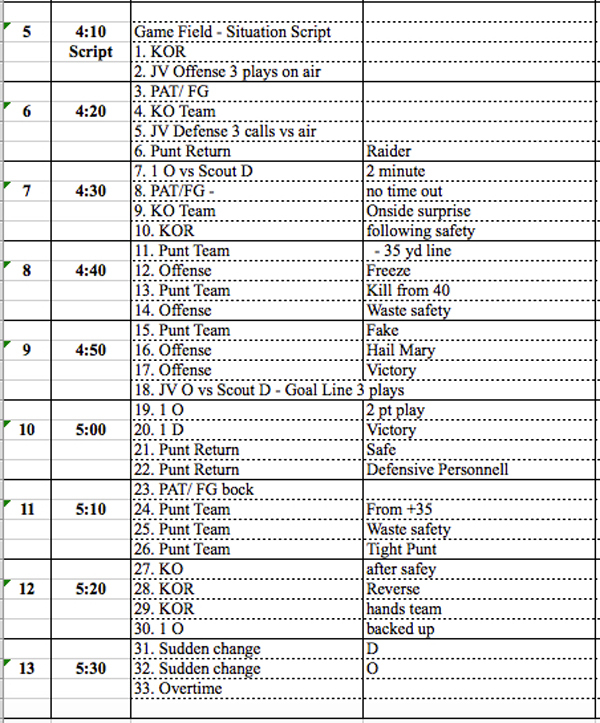 I hope this effectively communicated how/ why we used this script as part of our Thursday game prep practice. If you have any questions over this (or any other post) please shoot me an email or message me…. I WILL replay.